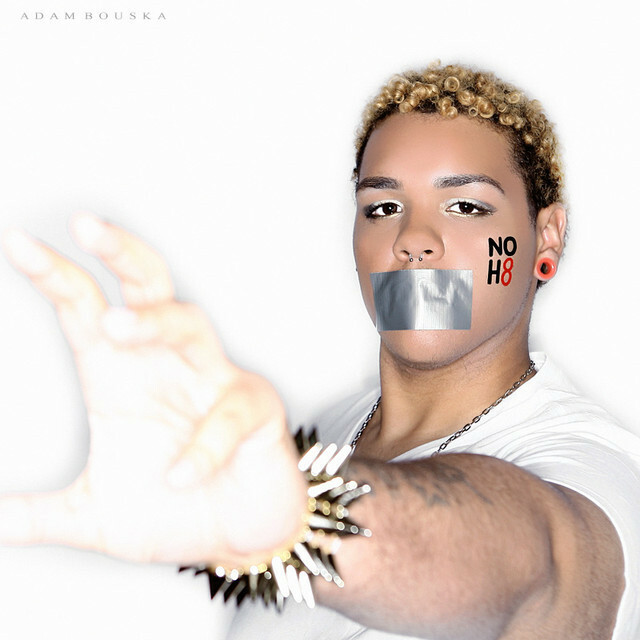 My name is Kyle, and I posed because NOH8 changed my life. "The smaller the town, the bigger the deal." That's true about many things, but most importantly your sexuality. I'm from a small town where it's hard to be yourself because people don't accept it. When I first saw the outpouring of support coming from the NOH8 shoots, it made me feel like somewhere in this world I would be accepted. This shoot fell on my 20th birthday so I felt it was destined to be. Maybe someone in my hometown who isn't out, or who might be having a hard time coping, can be saved, too, because someone somewhere in the world accepts them for who they are.